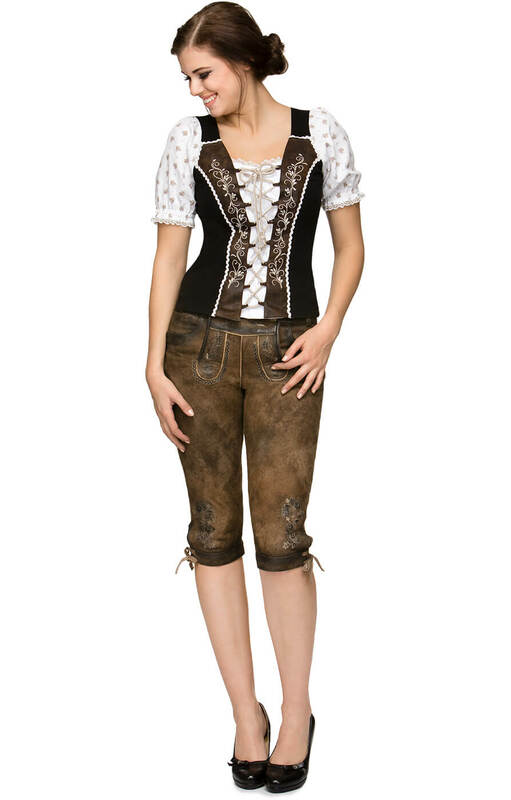 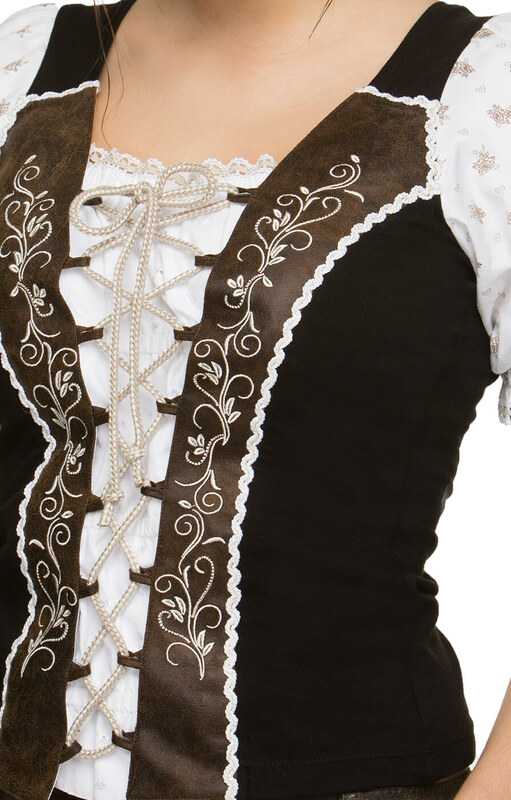 Beautiful 2-in-1 Dirndl top in black. 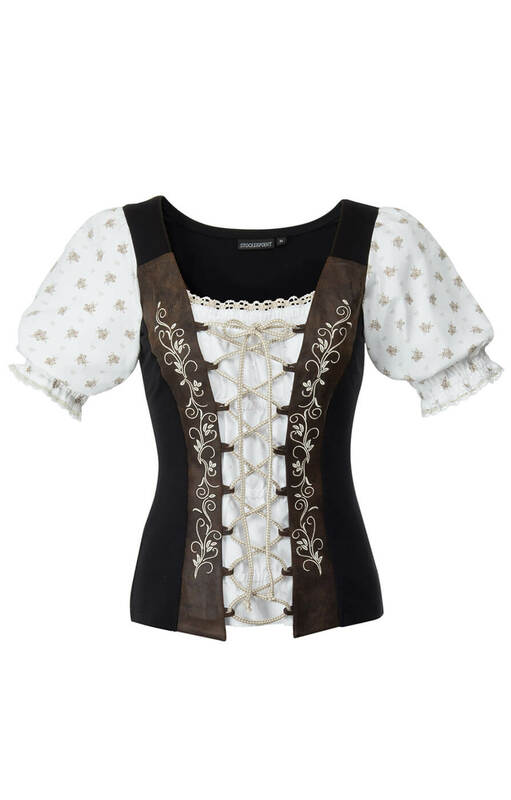 Venera is a smart and practical Trachten shirt in black with a delicate white cotton shirt underlay, floral print puffed sleeves and beige lacing flanked by beautifully embellished leather patches. 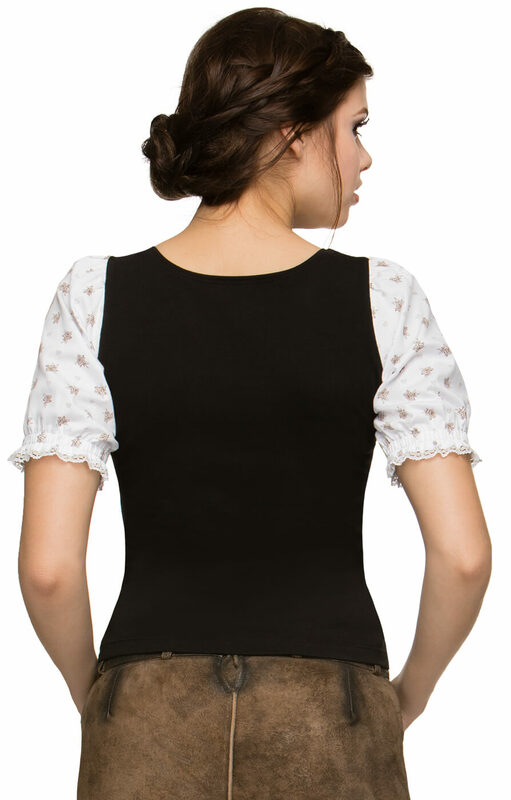 The black stretchy cotton bodice makes this Venera shirt a figure-flattering top that’s bound to complement your Trachten shorts or skirts divinely.